Nettle tea is made from the roots or leaves of the stinging nettle plant and is perhaps best known for its anti-inflammatory properties. It’s a good choice for those suffering from arthritis, allergies and skin issues, but it also provides a host of other benefits and can even be made at home. Stinging nettle is also sometimes referred to as wood nettle, and this family of plants goes by the scientific name of Urticaceae. There are many different species of nettles that grow all around the world. The plant’s most identifying feature are the stinging hairs which can cause an itching and burning sensation if they touch your skin. Nettles can grow up to five feet tall and do well in low, wet woodland environments. What Is Nettle Tea Good For? Helps relieve allergies. One of nettle tea’s most popular uses is relieving the nasal discomfort associated with allergies. Its anti-inflammatory properties help calm the immune response in the body that spurs the rapid sneezing and swollen nasal passages common in those who suffer from allergies. Provides natural pain relief. Some research studies have shown that nettle, taken orally or applied topically, can have an analgesic affect. Drinking nettle tea on a regular basis may help those who suffer from menstrual cramps, headaches or common aches and pains. Lowers blood sugar levels. A research study conducted in 2003 showed that stinging nettles may be able to help treat blood glucose issues. Calms gastrointestinal issues. Nettle tea can help soothe the lining of the stomach and provide relief from all kinds of stomach problems, including diarrhea, constipation and irritable bowel syndrome (IBS). Boasts antibacterial and antiviral properties. Stinging nettles have been shown to have antibacterial, antiviral and antifungal properties, making it a solid choice if you’re trying to combat the common cold or just want an overall boost to your immune system. Promotes overall health during pregnancy. 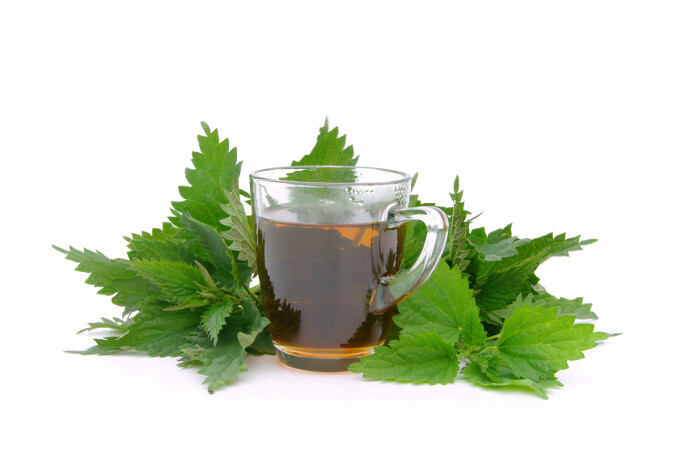 While nettle tea can provide many benefits during the pregnancy and postpartum period, there is some controversy over its safety because of the different preparation methods. Commercially prepared nettle tea should be fine for most pregnant mothers, but it’s always a good idea to check with your care provider first. What Does Nettle Tea Taste Like? The flavor of nettle tea depends greatly on whether you are using dried or fresh herbs and how long you leave the tea to steep. Fresh herbs tend to have a grassier, almost spinach-like taste, while dried nettle will be stronger and can be slightly bitter when steeped for a long time. Nettle tea is commonly used in combination with oat straw, alfalfa and rose hips. Try pairing it with rooibos or orange tea for a natural sweetness. If you don’t want to mix it with other herbs, a hint of citrus — such as a splash of lemon juice — tones down the bitterness and provides a fresh flavor. A bit of honey or maple syrup can also help. We love that nettle tea has so many uses and virtually no side effects, making it a true workhorse in your tea collection. It’s also relatively easy to find and quick to prepare. Your local health food store probably stocks several brands and varieties, but it’s not something you’re likely to find in your neighborhood grocery store. One downside of nettle tea is that it can have a bitter taste on its own, and many people may need to mix it with other flavors or sweeteners to make it palatable. If you’re drinking nettle tea for its specific health benefits, however, the taste is a minor issue. 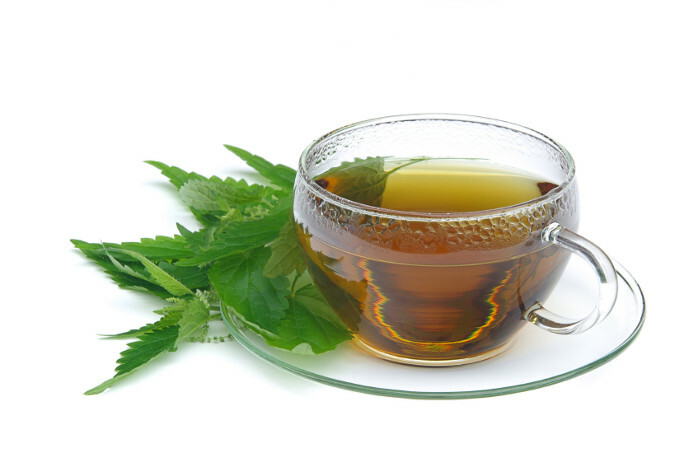 Nettle tea has a very high mineral content and is packed with magnesium, calcium and potassium. One quart of strongly brewed nettle tea actually contains enough magnesium to meet about 25 percent of the daily requirements of an adult. It also contains several vitamins, including A, B, C, and K. Nettles can also be washed and prepared for use in food dishes.